Indoor air quality in your home is an extremely important component of a home comfort system. In the Ottawa area, homeowners keep their homes well insulated to stay warm in the winter and cool in the summer. This also traps many micro-organisms in the house since they are not exposed to the sun. 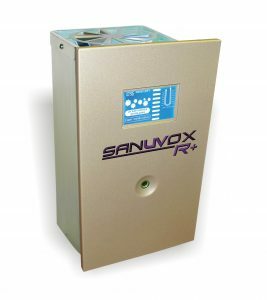 At AirZone, we work with the leading air quality manufacturers such as Sanuvox to bring you the latest in UV purification systems at an affordable price! A UV light system helps to improve the air quality in your home by breaking down the DNA structure of micro-organisms. Although filters can trap these micro-organisms, they do not stop their reproduction and eliminate them from your system. This is a great option for our customers who suffer with allergies and are looking for a solution to feel better while indoors.